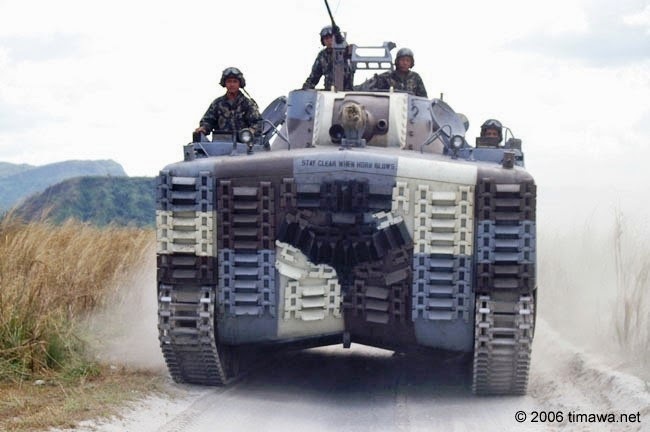 MANILA -- Due to a failed bidding back in November, the Department of National Defense (DND) has called for a second round of bidding for eight new amphibious assault vehicles worth P2.5 billion. Assistant Defense Secretary Efren Fernandez said the pre-bid conference will be on April 29, while the deadline and consequent opening of the bids will be on May 15 at 10 a.m.
Only one firm purchased bid documents last year, Samsung Techwin of South Korea. It did not tender a bid, however, because it failed to satisfy several requirements. “Bidders should have completed within 10 years, from the date of submission and receipt of bids, a contract similar to the project,” Fernandez said. The bidding is open to both local and foreign firms. The vehicles, which will be part of the Philippine Navy assets, should be delivered within 910 days upon opening of the letter of credit. The bidding will be conducted via open competitive bidding procedures using a non-discretionary “pass/fail” criteria as specified in the implementing rules and regulations of the Government Procurement Act. In case the public bidding fails several times, there is a government-to-government negotiation option. Navy spokesman Lt. Cmdr. Gregory Gerald Fabic had said the amphibious assault vehicles will boost the capability of the Navy for its fleet-marine operations.